Beamish, the North of England Open Air Museum is an open-air museum located at Beamish, near the town of Stanley, County Durham. 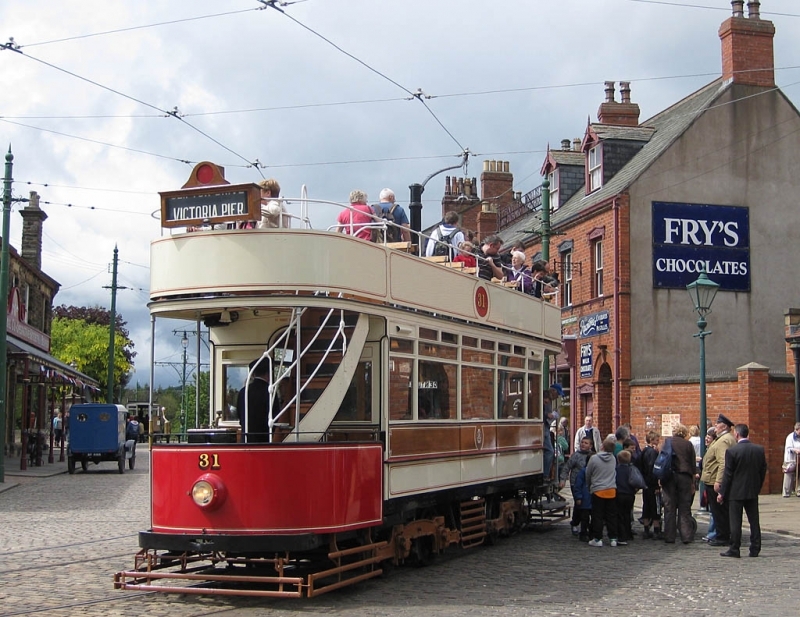 The museum's guiding principle is to preserve an example of everyday life in urban and rural North East England at the climax of industrialisation in the early 20th century. Much of the restoration and interpretation is specific to the late Victorian and Edwardian eras, together with portions of countryside under the influence of industrial revolution in 1825. On its 350 acres estate it utilises a mixture of translocated, original and replica buildings; a huge collection of artifacts, working vehicles and equipment; as well as livestock and costumed interpreters. The museum has received a number of awards since it opened its present site to visitors in 1972 and has been influential on other "living museums". It is a significant educational resource, and helps to preserve some traditional north-country and rare livestock breeds. Please give us your overall rating for Beamish Museum.